Understand the charm of the prestigious villa project District 3 Serenity Sky Villas come from what factors. This is one of the three most prominent projects of SonKim Land in Ho Chi Minh City. Serenity Sky Villas is located on Dien Bien Phu Street, between Le Quy Don and Tran Quoc Thao, in Ward 7, District 3, Ho Chi Minh City. The location that Serenity Sky Villas owns has been planned into an exclusive villa for the elite from the time of Saigon far and far. This area is undergoing a lot of architectural and planning changes, but it is still peaceful and romantic with shady trees. The Serenity Sky Villas project is a combination of other prestigious villas on Ly Chinh Thang Street, Ba Huyen Thanh Quan, and many other architectural legacies such as Nguyen Thi Minh Khai (formerly Gia Long School) Marie Curie School. The heritage has both historical value and material value lasting over time and become one of the highlights of HCMC. 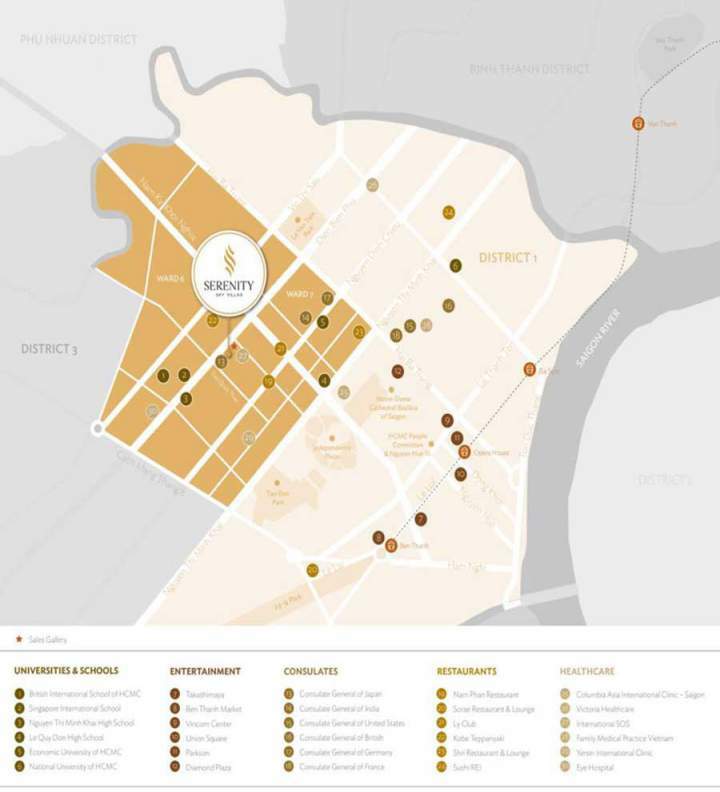 Located in the heart of Ho Chi Minh City, Serenity Sky Villas is easily accessible to prestigious venues such as the Reunification Palace, Notre-Dame Cathedral Basilica of Saigon, Turtle Lake or War Remnants Museum, trade centers, finance and banking, etc. 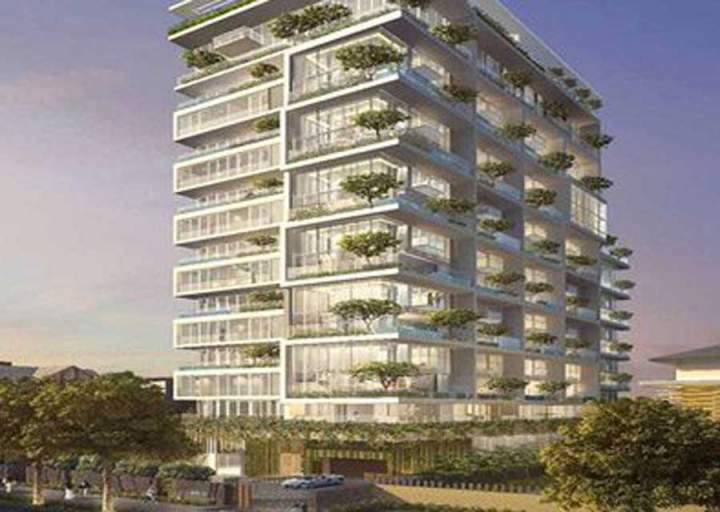 Serenity Sky Villas is a luxury villa project with 17 floors. Serenity Sky Villas Project District 3 has only 45 villas, including one to four bedroom villas. The 1 bedroom unit at Serenity Sky Villas consists of 2 units, suitable for newlywed couples or business travelers who want to find a private place to live and relax. This 2 bedroom unit consists of 10 units on Serenity Sky Villas, suitable for families with 3 to 4 members. The most at Serenity Sky Villas is still a 3 bedroom apartment with 23 villas, suitable for families with about 5 members. 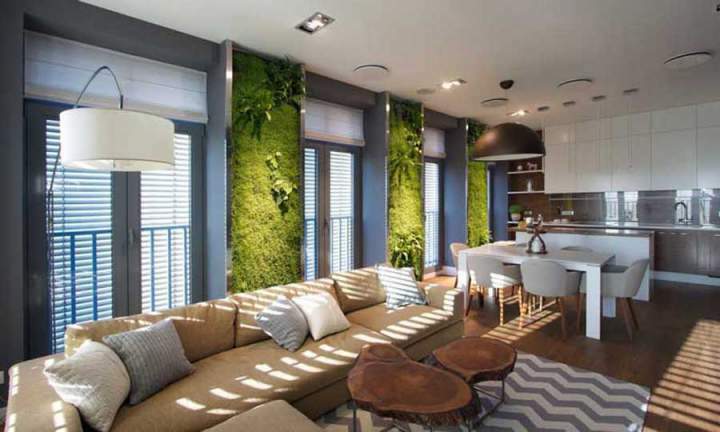 Four-bedroom Serenity Sky Villas with 6 units and 1 Garden Villas. Also at Serenity Sky Villas there are 3 Penhouse units. With an extremely limited number of owners, Serenity Sky Villas owners will be successful owners who love a bold and stylish lifestyle. 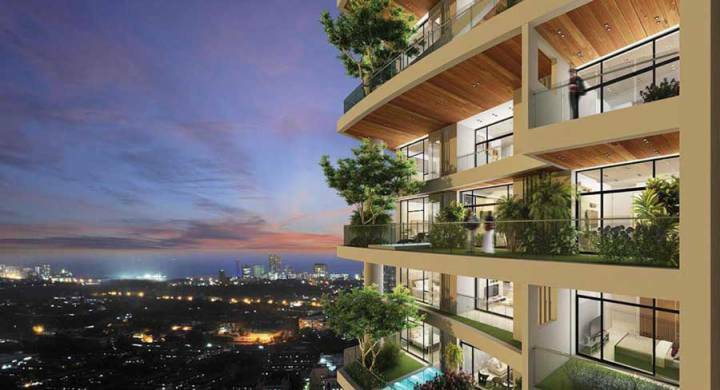 At Serenity Sky Villas, owners will experience and enjoy the luxury living space right upstream. Serenity Sky Villas is a prominent villa project in Ho Chi Minh City, developed by SonKim Land. Recently, SonKim Land has received the Asia Pacific Property Awards 2018 real estate awards in three important categories, including two “High-rise buildings in Vietnam”, “Residential complex project Typical architecture in Vietnam “are for Serenity Sky Villas. By winning prestigious international awards, it has confirmed SonKim Land’s position and position as well as the project of Serenity Sky Villas. Inspired by the tropical airy villas, Serenity Sky Villas is a unique and unique airy villa project. The Serenity Sky Villas are harmoniously combined ancient architecture with modern lines, focusing on green space and open space towards nature. The architectural style of the Serenity Sky Villas villa is partly influenced by the French architecture because it is located in the French villa area of ​​District 3. It can be said that Serenity Sky Villas is a harmonious combination between France’s temperate style and subtlety of Asia’s tropical architecture. Each apartment at Serenity Sky Villas has a private garden and pool. The large trees along with the green are arranged and arranged optimally in the design, so the owners of all the luxury villas to Serenity Sky Villas will experience a resort life with fresh air everywhere. In addition, the living room is designed with modern high ceiling to nearly 7m. High-sound-proof glass walls show the interior elegance, as well as natural light for living space. At the same time, also open to the owner of the project Serenity Sky Villas panoramic views of the panoramic city from above. What the exclusive Serenity Sky Villas owns is unique in the market. Especially in the current real estate market, the city center land fund is almost exhausted. Serenity Sky Villas, which owns a million-dollar location, both owns the design and quality of international stature. The project is expected to be completed by the third quarter of 2018 and handed over in the fourth quarter of 2018. You are reading the article Where does Serenity Sky Villas’ value project come from? in the Real Estate category at https://realestatevietnam.com.vn/. Any information sharing, feedback please contact through Hotline 0909890897 (24/7) or email to info@realestatevietnam.com.vn.